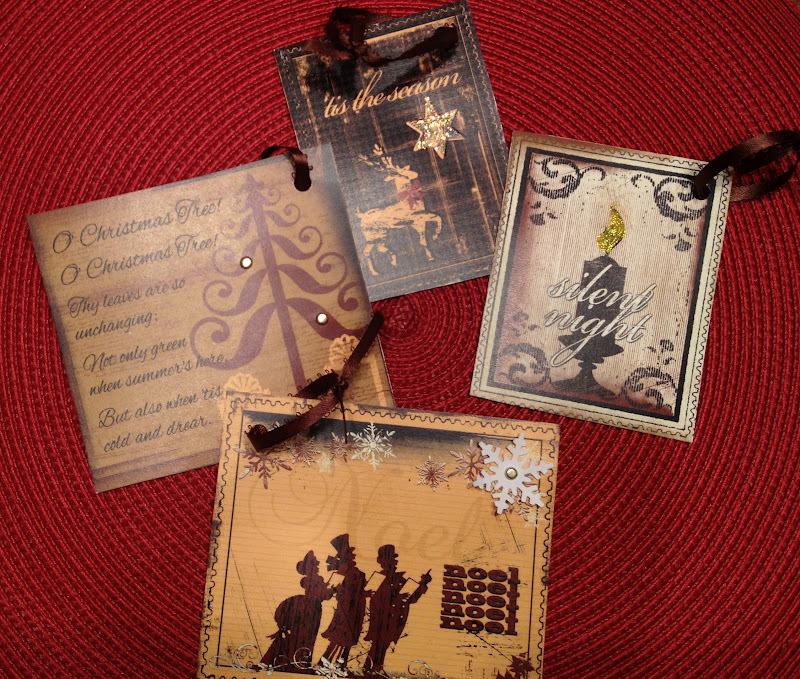 Blog Quick Quotes: Holiday Inspiration + Club Q Kit Winner! Holiday Inspiration + Club Q Kit Winner! Suzanne here to share a project made with our "Cracklin' Rose" collection. This line is SO gorgeous. Even though I ran with the Christmas theme today, you can use these pretty patterns and rich colors for any occasion! I figure it's never too early to start on holiday projects ;) I made a set of 4 gift tags using the element sheet. I cut 4 of the vintage images from the 12x12 sheet. I love the distressed look they have! Each one has it's own unique sentiment, too. I embellished each of the fronts using our brass brads, a snowflake punch, and glitter! I added a brown ribbon loop to attach to packages.I was so happy with how they turned out! I covered the backside of the tags with this burgundy, damask print. 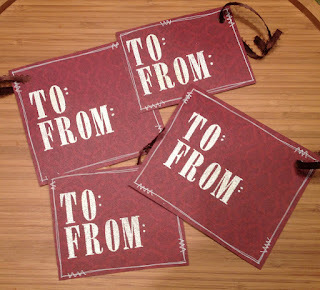 I embossed "to/from" in white with alphabet stamps. I used a white gel pen to add faux stitching around the edges. I really love how they turned out! Please email rhonda.quickquotes@gmail.com within 7 days with your information so we can get your prize out to you! These tags are fabulous!! I love how each one is unique and the white stamping on the red looks amazing!